Recent release “Echos From the Past” from Page Publishing author Jyll Jackson Lancaster is both suspenseful and perplex; this work is a page turner that keeps the reader on the edge of their seat! Jyll Jackson Lancaster, a wife, mother, grandmother, animal lover, social worker, devoted writer and author, has completed her new book “Echos From the Past”: a gripping and potent story of intrigue, mystery, fear and manipulation with several unexpected moments that tie together a questionable murder plot. Published by New York City-based Page Publishing, Jyll Jackson Lancaster’s captivating work mesmerizes the reader through the tricks of the subconscious. At the age of seven, Corbin Graham witnessed the brutal death of someone he loved. As a teen, he dated that same girl. As an adult, he married a woman with the same name. Dreams begin to plague him, and as people around him begin to die, he wonders if he has killed them while sleepwalking, or if they have simply been coincidences. He cannot separate the dreams from reality and has no memory of what actually happened years ago, but he knows one person who holds all the answers. Corbin will do anything to get those answers and stop the dreams—even commit murder. 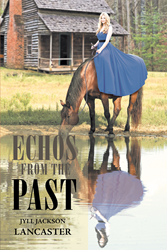 Readers who wish to experience this thrilling work can purchase“Echos From the Past” at bookstores everywhere, or online at the Apple iTunes store, Amazon, Google Play or Barnes and Noble.